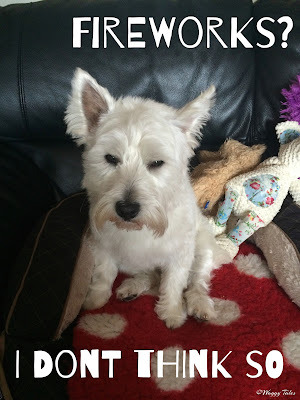 Fireworks and Pets | How to look after your pets during fireworks. Here in the UK the dreaded night for pet owners is upon us. Remember, remember the 5th of November. Dogs remember it all right, and mostly for the wrong reasons. Fear! 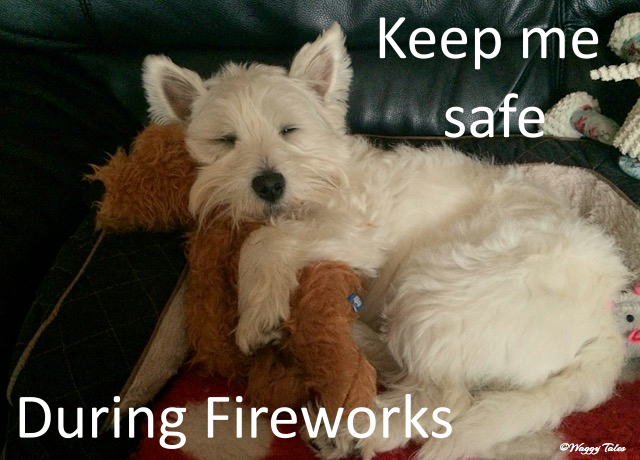 Top Tips For Looking After Your Pets During Fireworks. Provide your pet with a safe haven. This means they always have somewhere to hide if they want to. Examples include under furniture, a dog crate or under your bed. Providing extra bedding will also make them feel more secure. Keep your pet INDOORS. This is a must! 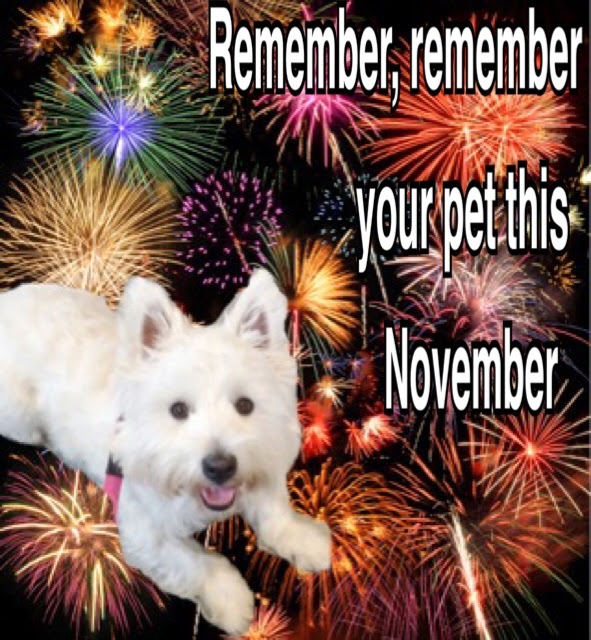 During the firework season walk dogs during daylight hours and keep cats and dogs indoors when fireworks are likely to be set off. Once is starts to go dark, close windows and curtains and put on some music or television (at a little higher level than normal) to masks and muffle the sound of fireworks. Make sure pets are kept in a safe environment and cant escape if there is a sudden loud noise. Try to block all exits, especially for cats its a good idea to block off any cats flaps or windows. As hard as it might be, don't fuss over them your pet. This will only make it worse. The best advice is to ignore their behaviour to avoid reinforcing it. Leave them alone unless they are likely to harm themselves. Try to stay in with your pet and avoid leaving them home alone during the firework season. If you do have to leave your pet alone for anytime, try and be as short of time as possible. Provide a doggy plan area, making sure a radio or tv is on to drown out the noise. Most importantly make pets identifiable. Make sure your pets are microchipped and have a ID Tag in case they do escape and that all your records are up to date. If for any reason your dog still struggles with fireworks. Don't panic! Dogs go through stress at one time in their life and Lottie is no different. I really underestimated just how stressed she would be during a car journey. After many different methods, much to no avail. Our VET recommended a Pheromone Diffusers (No we hadn't heard of them either). They dispense the synthetic copy of the natural canine appeasing pheromone proven to help support dogs in a range of stressful situations. You can purchase them in a variety of different applications (collars, diffuse res, sprays) and are widely available in your local pet store. 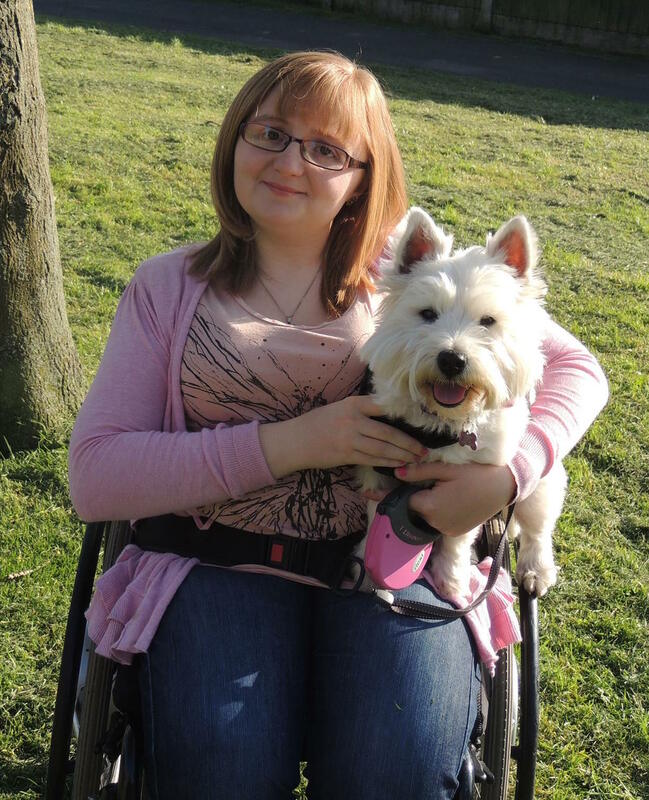 We couldn't believe the difference they made to Lottie. Here the brand that we highly recommend. Although its a little late for this year, its never to early to start to prepare for next year. Sound therapy for pets is another great tool that half of us don't use enough. There website can be found here. They offer a range of downloadable audios that can be played when the dog is distracted and then increased in volume each time to desensitise the dog to that particular sound. If your pets live outside, partly cover the cages, pens or aviaries with blankets to help block out as much sound as possible. If you have a rabbit or guinea pig you could always bring themselves for the night. Provide lots of extra bedding so your pets have something to burrow in. Most importantly keep your dog safe. Lottie likes to cuddle her teddy during fireworks.